Three-quarters of Oregon is in "Severe Drought"
Almost 93 percent of Deschutes County is in extreme drought conditions, according to information released by the U.S. Drought Monitor, a mapping tool produced by a number of federal agencies. Detroit Lake, Ore. during a low-water year. One-hundred percent of the county is facing “abnormally dry” conditions, “moderate” and “severe drought,” U.S. Drought Monitor’s data released on Jan. 31shows. Statewide, the outlook isn’t much better. 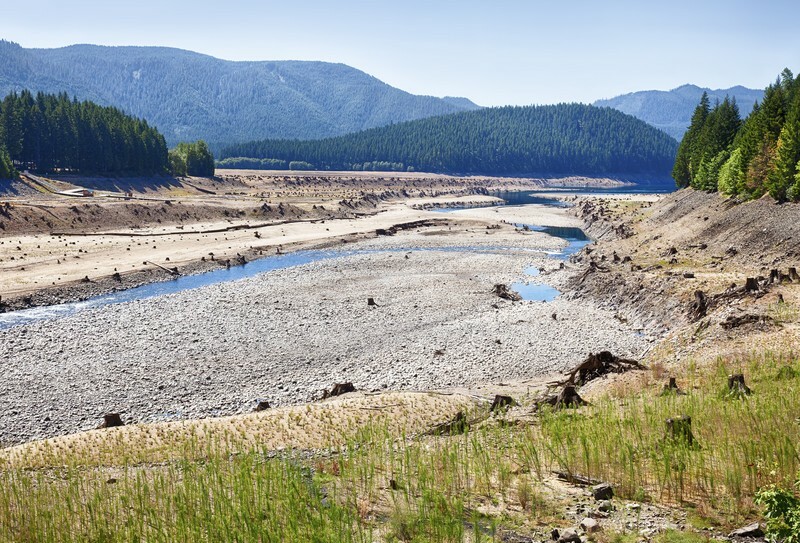 Nearly 75 percent of Oregon is in severe drought and 90 percent of the state is considered to be in moderate drought conditions—meaning 3.6 million people are living in some level of drought. That includes Lincoln County on the wet Oregon coast, usually immune from low-water years. Kathie Dello, associate director of the Oregon Climate Research Institute said in an Oregonlive story the reason for the drought isn’t complicated: we just aren’t getting the rain we’re used to. Storms that typically hit Oregon are veering north or south, leaving the state with lower stream levels, less water for agriculture and smaller snowpacks. 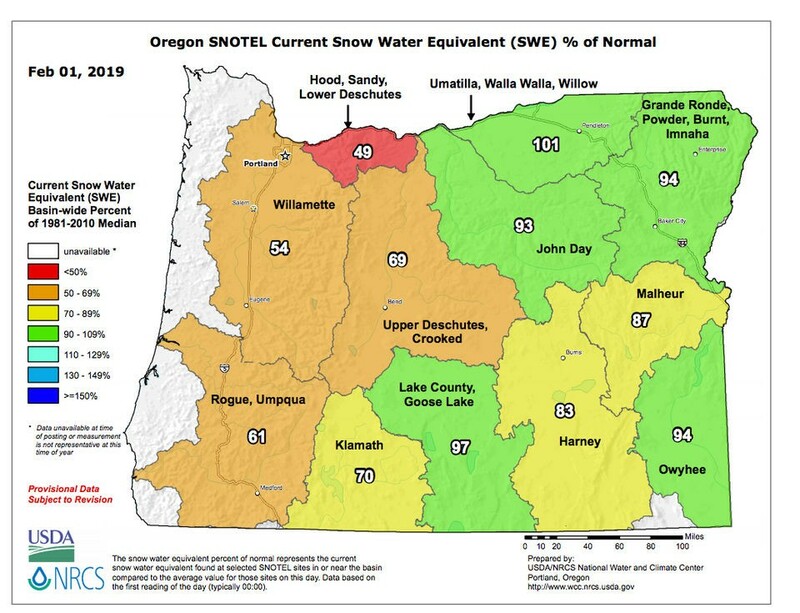 According to the U.S. Department of Agriculture, only one in 12 basins in Oregon used to measure water content in snow is where it should be as of Feb. 1. The Hood, Sandy and Lower Deschutes Basins are only 49 percent of normal and the Upper Deschutes Basin is just 69 percent of normal.